Comic villains have a lot of competition when it comes to who is the scariest villain. There are terrifying murder clowns, monsters from deep dark pits on ancient islands, and alien shapeshifters that could be anyone or anywhere. 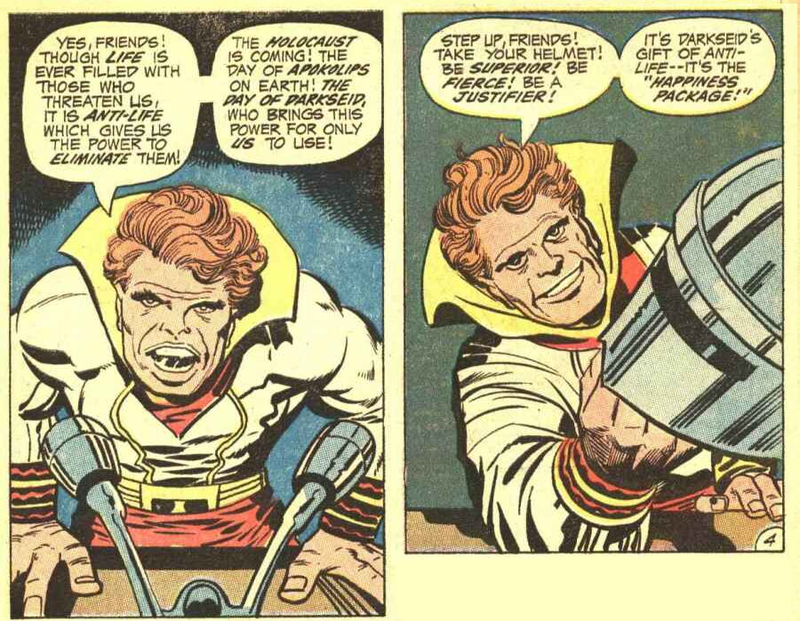 But for my money, there’s one guy whose much worse than all the rest and it’s all because of what he stands for, and how familiar is the threat that he represents: Glorious Godfrey of Jack Kirby’s Fourth World Saga. I wrote an article for Kulture Shocked about Godfrey; who he is, what he stands for, and what he says about us.